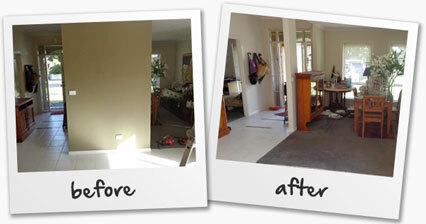 We specialise in the removal of non-structural walls. Removing a wall in your home can reinvigorate an area and completely change the look, lighting and square footage of a space. At Hard Labour, we specialise in non-structural and non-load bearing wall removal. We have all the tools and knowledge to get it right the first time, saving you time, money and a lot of hassle. How are domestic walls removed? The first thing we’ll want to determine is whether or not the wall in the house is structural or load bearing. Load bearing walls may need additional supports and the involvement of an engineer. 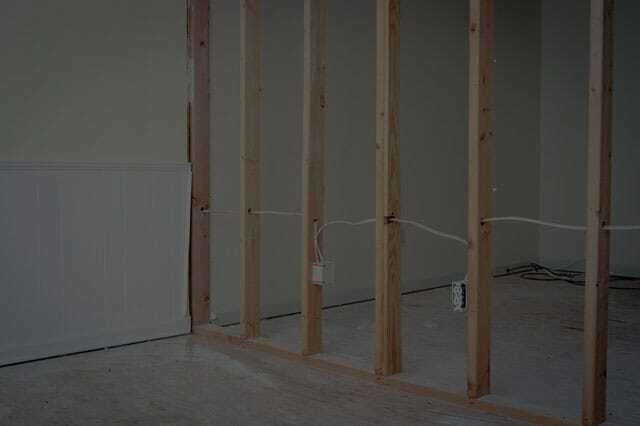 If it isn’t a load bearing wall, we can remove it cost-effectively and with minimal mess and disruption to your home. There are many different types of domestic walls and each one will require a specialised method of removal. Two common types of wall plasterboard and brick walls. If it is an internal wall such as a plasterboard wall we will locate the wall studs and then cut and hammer away the plaster. Once the plaster is gone, we will cut the away the steel or timber studs and ensure the area is properly capped-off and is ready for re-decoration. If you have a brick indoor or outdoor wall we may need to remove it brick by brick with ply-bars, angle grinders and hammers. We also take care to cover furniture and floors to ensure that mess and dust are minimal. We will finally take any debris with us and leave the site clean and tidy. What domestic wall removal services do we offer? Why should I have my domestic wall professionally removed? We often get calls from DIY renovators who have bitten off more than they can chew or from people who have had amateurs botch a wall removal. Whether you are removing a wall in your primary residence or an investment property, a house is a valuable investment and home renovations will directly affect the market value of your house. A good renovation can add thousands of dollars of value to it, but a poor job can lose you thousands. As one of the leading Melbourne wall removal operations, we’ve done great work over the years and we’ve fixed some pretty shonky work as well. Our customers are always amazed to see what a positive difference the removal of the right wall can make. Get a free quote by filling out the simple form on the right-hand side of this page. When it comes to Melbourne wall removal, Hard Labour is the only name you need to know.